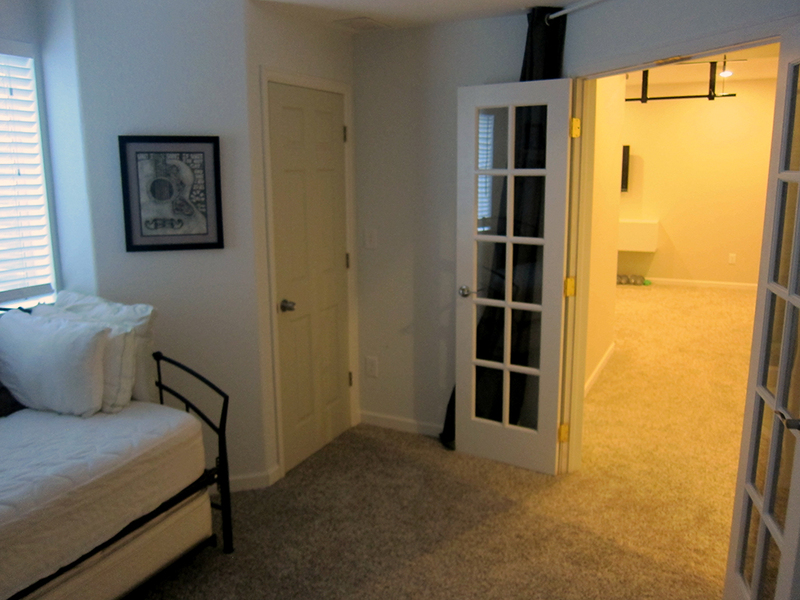 The spare basement bedroom is now complete! 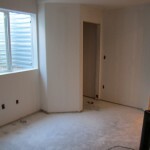 Take a look at the before and after photos here. 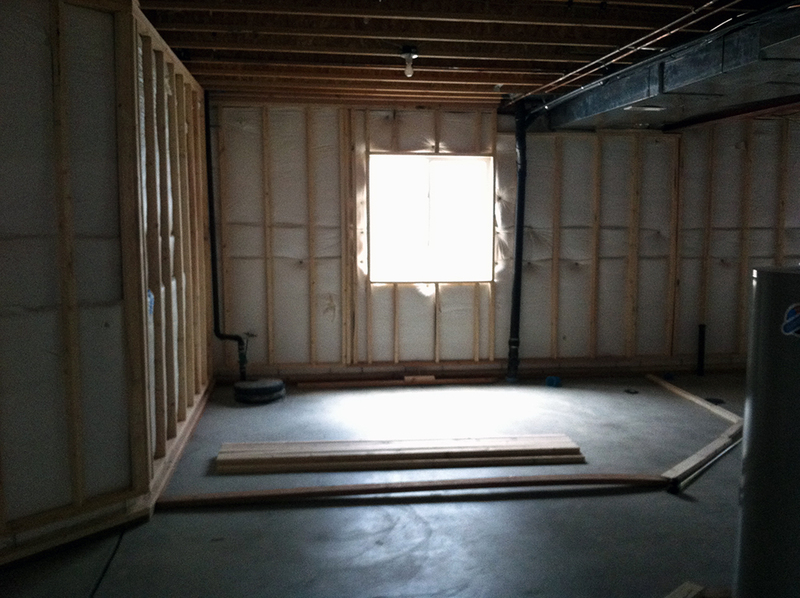 I didn’t have many photos of the basement before all the walls were framed out, so it’s fun to look at these photos and see the bedroom and bathroom walls just laid out with 2X4’s on the floor. 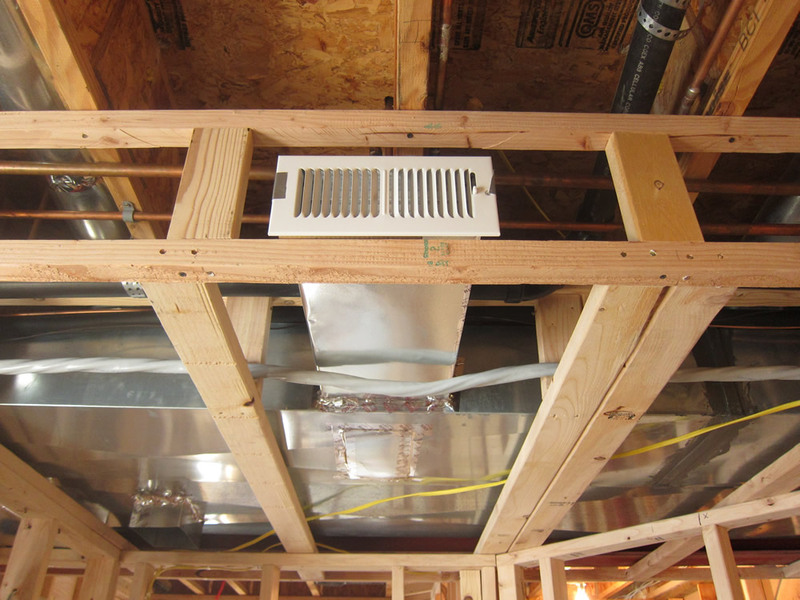 You can see in the first photo, but the spare bedroom required the door to be hung on a 45 degree angle and is actually supported by a soffit covering the HVAC running on the ceiling. 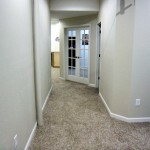 Finishing your basement is a great project, and it can raise the value of your home incredibly. 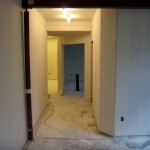 If you’re thinking about adding a spare bedroom, I hope this post gave you some inspiration to begin your basement finishing journey. If you have any questions about this project specifically, please feel free to comment below. Thanks for the images Tony. 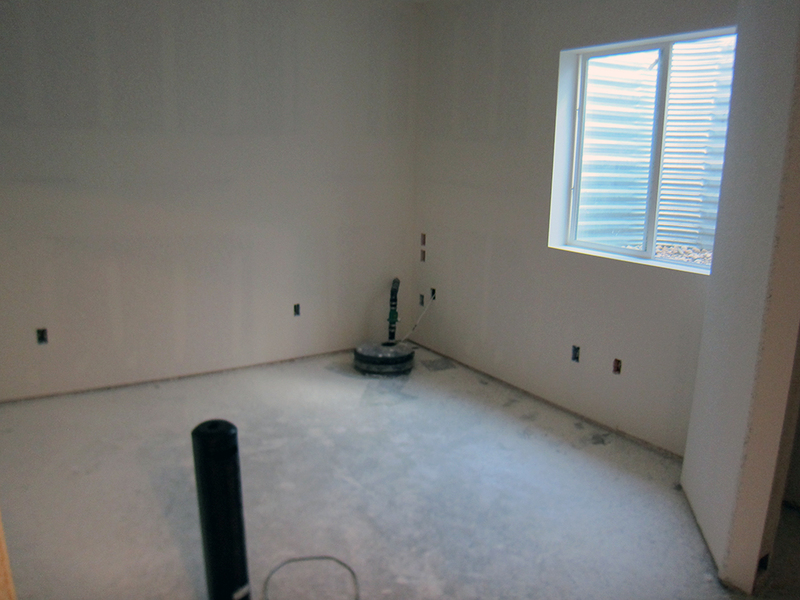 It is always really helpful to see before and after pictures and see the development process. 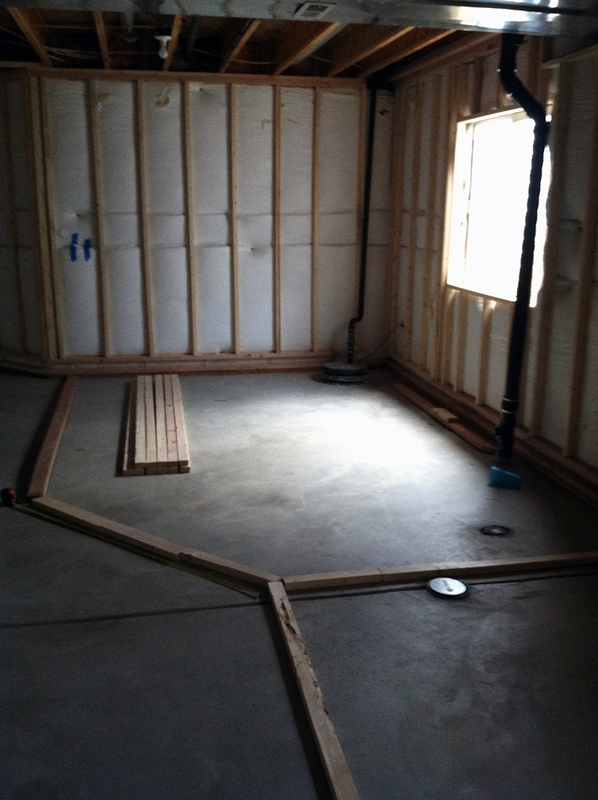 How long did the framing and electrical stages take? 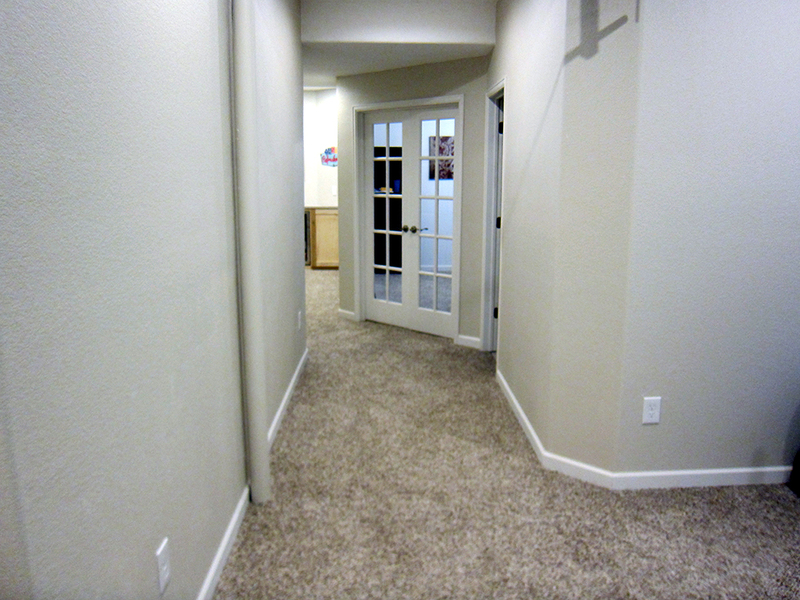 I really like the fact that the design options for a basement are pretty much limitless. 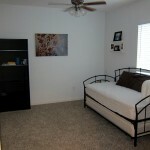 You do have to choose carefully if you want to add real value to your home. Hey Lawrence, thanks for the comment. The framing stage for me took about three-four months, this was by far the longest phase as it required the most labor and I tackled most of it by myself. Electrical took about one month, but for me it was the most monotonous phase because it was a lot of the same thing over and over. 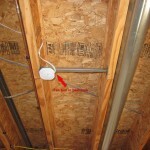 With framing you can make some creative decisions on the fly and it requires a lot of on-the-spot problem solving, but with electrical it’s just a lot of wire twisting and nutting 🙂 To make electrical a bit more exciting I built some in-wall PVC pipes to house wires and did a lot of speaker wiring. thanks. It is really helpful. I have a question. 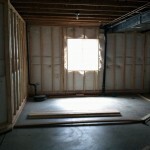 I saw insulation with framing. 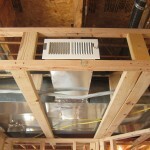 did you remove the old insulation (comes with builder) and re-do insulation after framing? thanks. No we did not remove the insulation that came with the home, also known as “blanket insulation”. 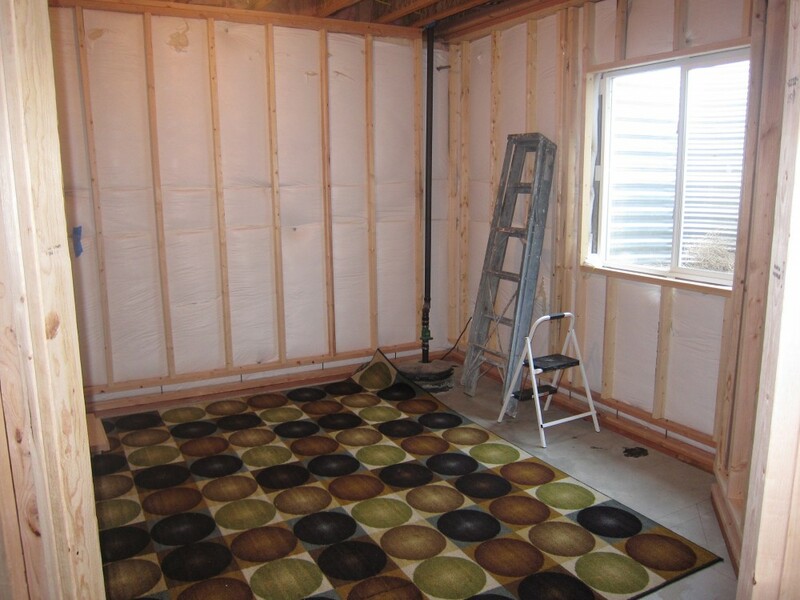 When you frame with blanket insulation you just move your wall in a couple inches to allow room for the blanket insulation. 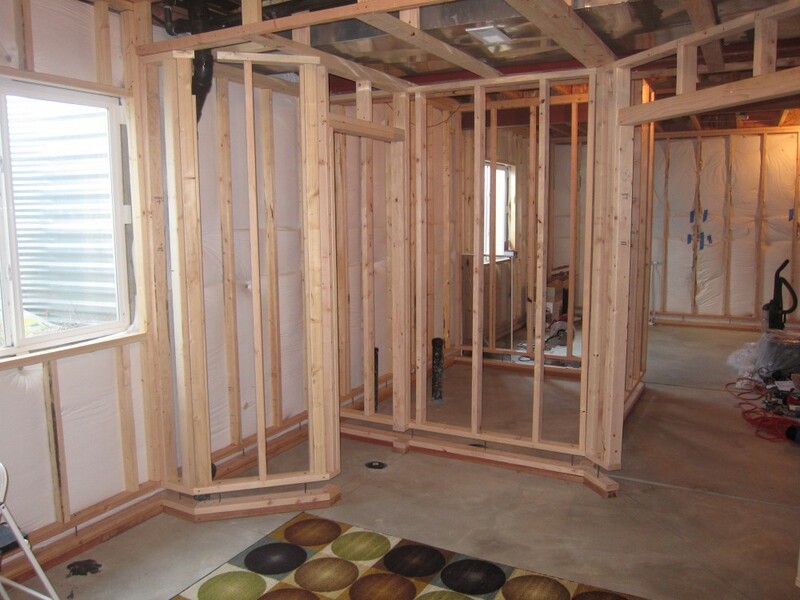 You don’t want to compress the insulation too much with your framed walls, if you do the insulation will become ineffective as it needs the space to work properly. 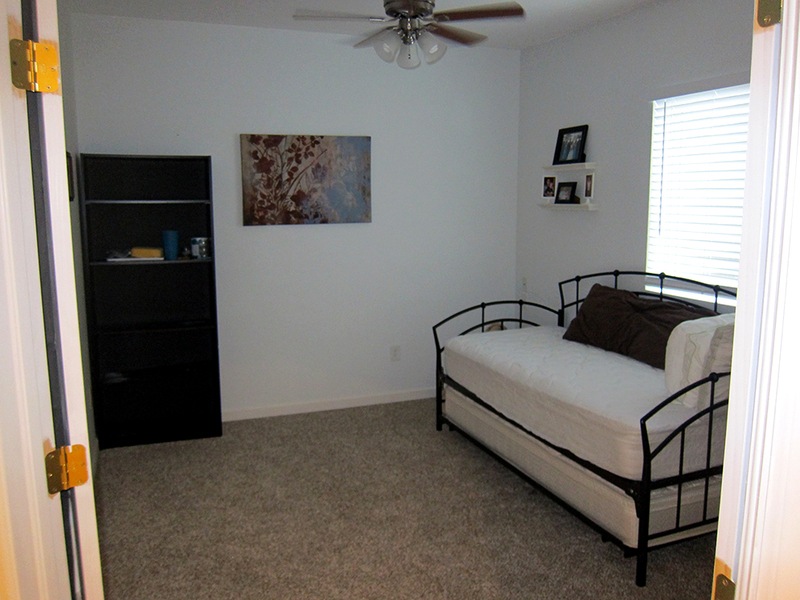 I framed so my walls were touching the blanket insulation but not compressing it. Let me know if you have any other questions and best of luck! One question for you: Is using only nails to suspend the walls from the ceiling enough to hold the weight of the wall including all the sheet rock? 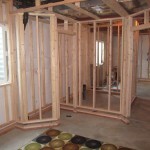 Is your design approved by Colorado building code? Thanks for all the pictures. Thanks for the question and sorry for the slow response, I’ve been having issues with my comments filtering out spam. Yes so nails will do the job! I would shoot them in at a slight angle when I was nailing to the ceiling, just to give that extra security. 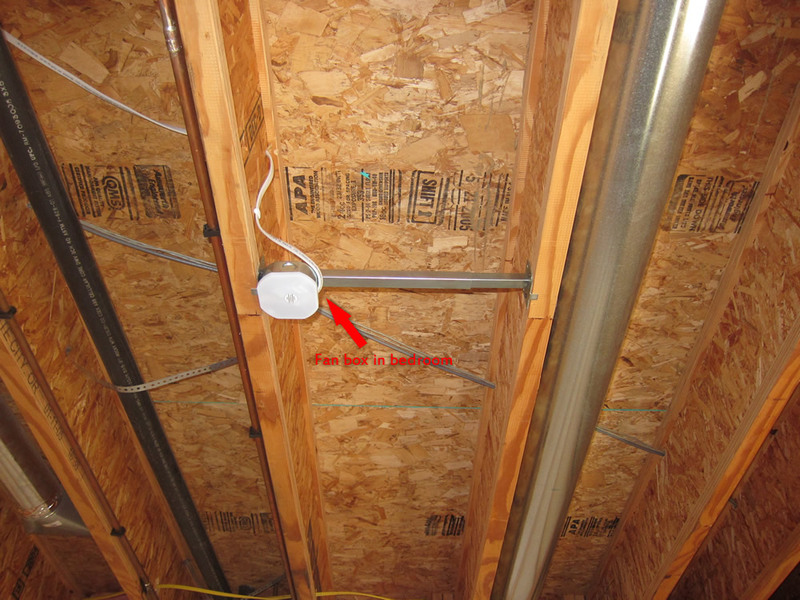 When I was dealing with soffits that were fairly small and would span a large area/support a lot of weight, I would throw a screw or two in. My design was approved by Colorado building code and I got the final sign off on my permit just about a year ago. 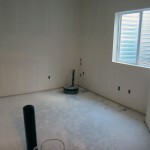 Let me know if you have any other questions and best of luck with your basement finish! I am in Erie, CO, so all this info is very important. I didn’t get how you made a floor in the shower after tiling the walls. 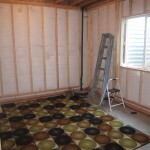 How did you insulate the gap between the walls and the floor? is there any? 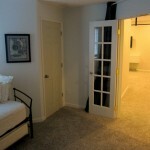 How’d walls potentially moving up and down won’t crash against the floor? I did put a little bit of insulation in the float between the walls and the floor, but this is just scrap bat insulation I cut and shoved in the gap. 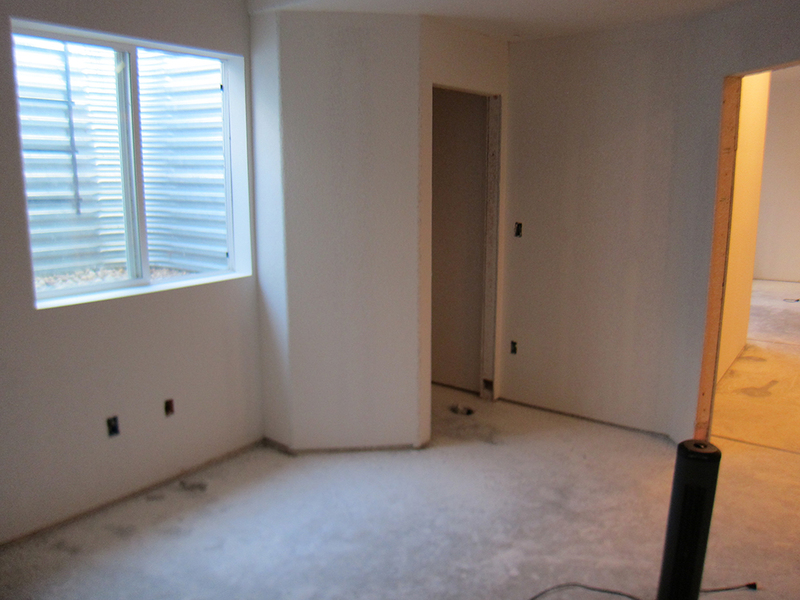 After the framing comes the drywall, or in the case of a shower you put up HardieBacker Cement Board. 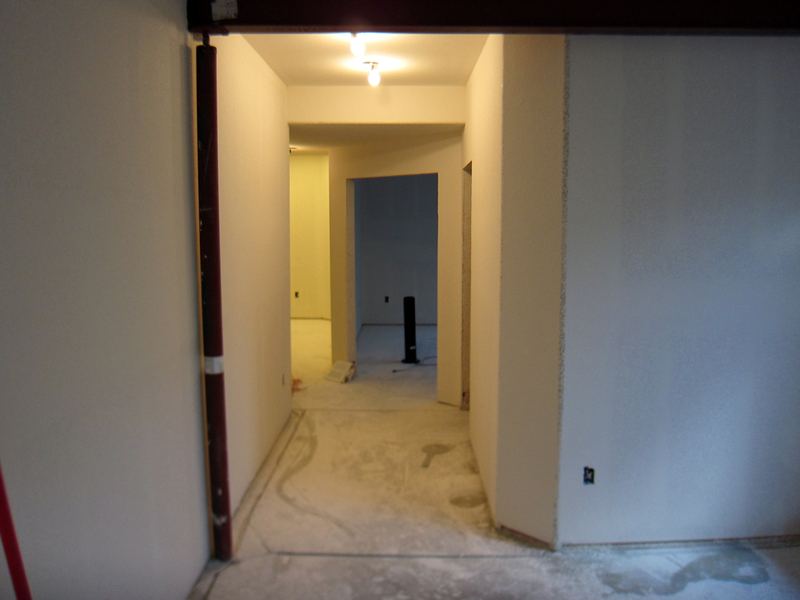 This goes down to the floor leaving just a small gap (1/2″ or so). 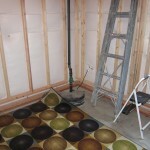 After that you tile over all the walls as close as you can to the floor. 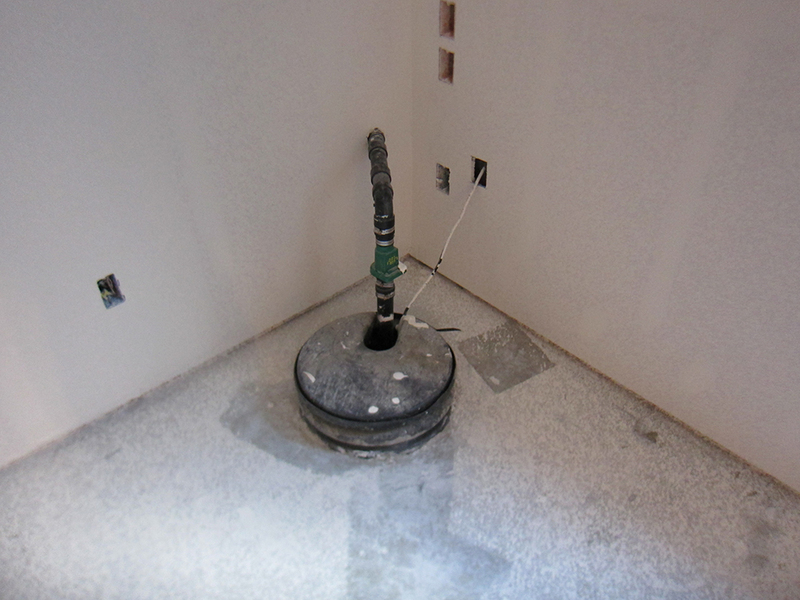 Once the tile is complete you pour a cement shower pan, sloping ever so slightly towards the drain. 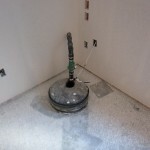 This will essentially cover any gaps between the tile and the floor. Then you tile over the cement and you’re good to go! If I did have any heaving in the basement there would always be damage. I think that’s the number one misunderstanding about floating walls is that they protect you from damage. 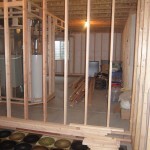 The truth is that they protect your house from completely shifting off the foundation. 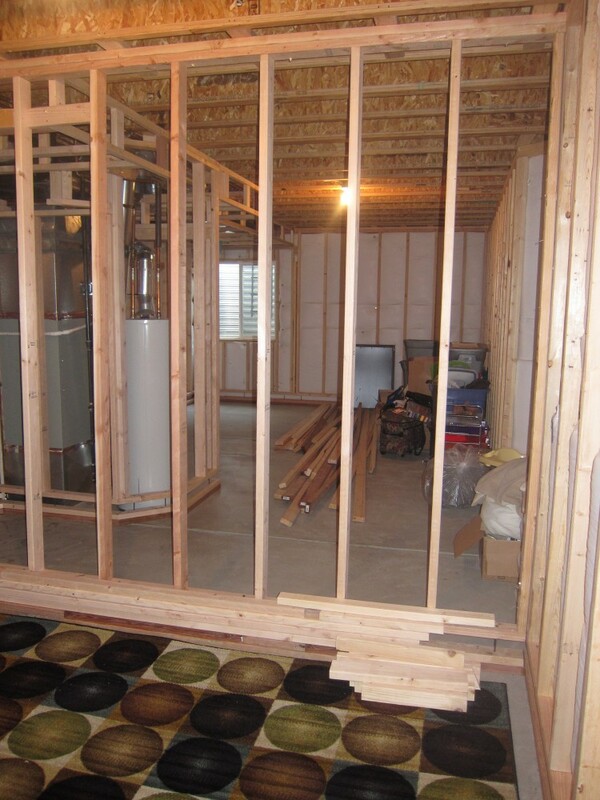 You will still have damage in your basement no matter where the heaving occurs (broken drywall, cracked tile, broken lumber), but you’ll save the upper levels of your house from the additional damage. Does this answer your question? Hopefully that helps and please let me know if you need me to clarify any of the steps further for you. 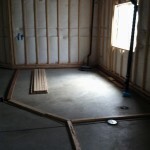 Thanks Andre and best of luck on your basement finish! Hello. 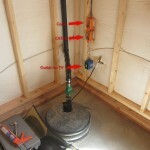 I was wondering how you covered up the sump pump in the bedroom. 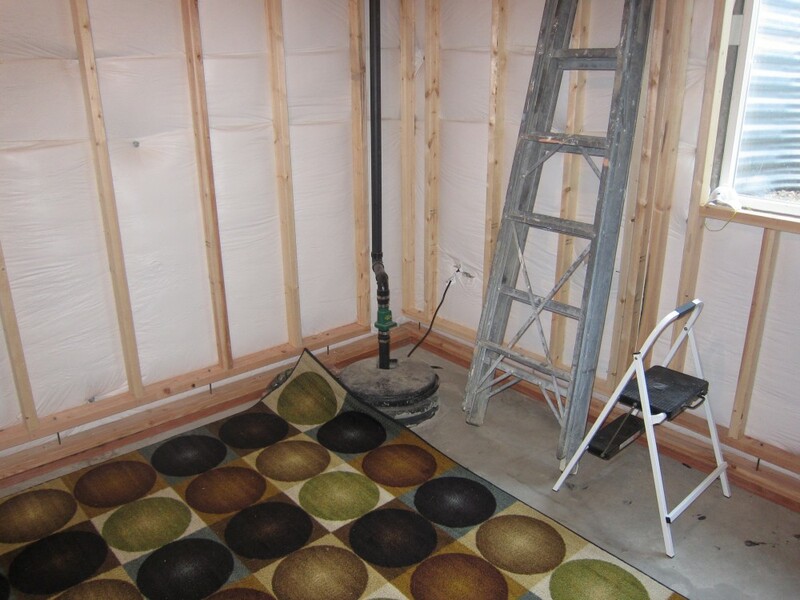 We will be finishing our basement soon and the egress window is in the same corner as the sump pump. Is it covered by carpet? Hello Coreena! 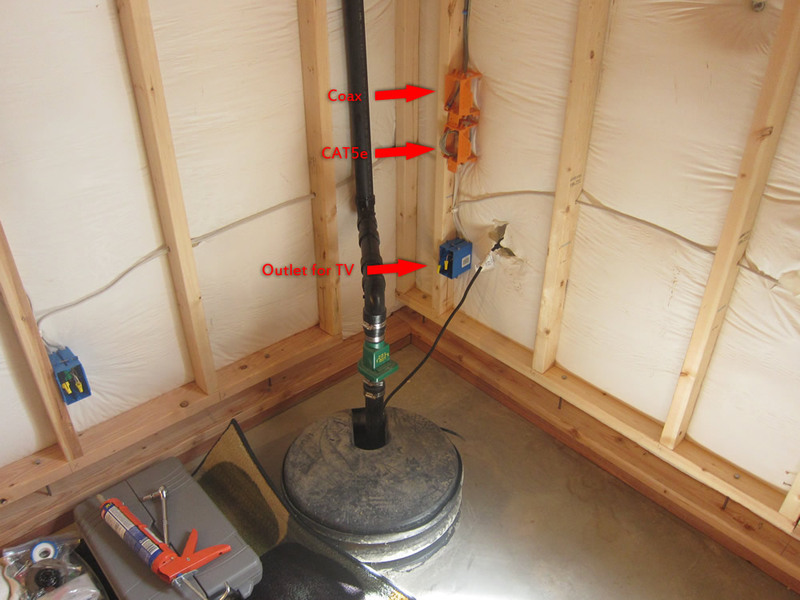 So I actually ended up building a custom wooden enclosure around the sump pump that doubled as a TV stand in that room. Basically it was a simple wooden box that you could open from the top. We stained it to make it look decent and put a TV on top of it!